It’s time for another GREAT giveaway here on Inner Child Fun — this time from our friends at HP who have asked me to help spread the word about their wonderful eSmiles campaign! 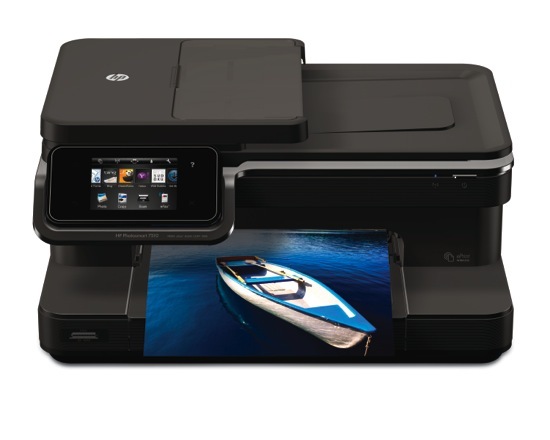 One very lucky Inner Child Fun reader will win a HP Photosmart 7510 e-All-in-One Printer courtesy of HP!!! The HP Photosmart 7510 allows users to print flawless photos and easily copy, fax, and scan. It also features HP ePrint technology that allows printing from any location, including mobile devices, and is the same technology used to make HP eSmiles a success. Visit http://bit.ly/HfnqsG and choose the Ronald McDonald House location you wish to support. Upload your eSmile photo or write an inspirational message. The eSmile you send will be emailed directly to the Photosmart 7510 e-All-in-One located within the House at the location you have chosen. HP has donated a printer to each house! The eSmile will then be printed and hung on a wall within the house for all to see. What a fantastic and EASY way to brighten someone’s day!! For every photo or message sent, HP will donate $1 and has committed to raise $10,000 for each of the five participating Houses! The participating houses include New York City, San Diego, Orange County, Atlanta, and Chicago. Awesome, right?? An HP eSmile is a message of hope and support sent through HP ePrint technology to the families and children finding strength at participating Ronald McDonald Houses. eSmiles can be “get well” letters, photos, jokes, cartoons, or drawings and sketches that will help make the children and their families smile. An eSmile message is sent the same way as an email directly to the HP ePrint-enabled printer and delivered as a printed page or photo. If I’m down, my little five year old daughter can always make me smile. She doesn’t stop, till I have to smile and tickle her. I sent a esmile to the RMcD House in San Diego. My daughter belly laughing always makes me smile. When my baby kicks her legs in excitement when she sees me! My 10 month olds laugh. I could listen to it all day long! Hugs from my kiddos always make me smile, on the inside and outside. A hug from one of my kids always makes me smile. Ond of the things that always makes me smile is a text (message) from someone i care about when i’m in a bad mood. Nothing like hearing from a friend to brighten up a day! It never fails to make me smile when I watch our calves kick up their heels and play! When my seven year old reads to my one year old, I smile. Winning a new printer would also bring a huge smile to my face. It never fails to make me smile when I get to watch my kiddos sleeping 🙂 See–just thinking about it made me smile. Seriously, how cool is this esmile thing!? I sent one to the Chicago/NW Indiana R McD House. It makes me smile when I tell my son, “Hey Henry Hoo” and he says “Hey Mama Llama.” I hope he calls me that forever. My 9 month old daughter’s giggle always makes me smile! I love it when my kids speak kindly to each other and play without fighting. It warms my heart! I sent an e-smile to San Diego. Thanks for introducing me to that site! How great! This is fantastic. My son puts a smile on my face all the time. I sent an e-smile to the Atlanta, Georgia house. My daughter’s hugs and giggles. Those make me smile no matter the mood I’m in. One of my boys bringing me a flower! My kids snuggles and silliness. my kids jumping into bed to snuggle in the morning! I sent mine the the Chicago house. I sent an esmile to Chicago, home of the Cubbies!!!! Watching my son play tball. It is hilarious! My Grandkids still run to me when I see them. Doesn’t matter what mood I’m in, it melts my heart and makes me smile. Anytime my daughter tells me she loves me, or waves/blows me kisses from afar! My beautiful daughters never fail to make me smile ~ especially when they are loving to each other! I sent an eSmile to the Atlanta, GA house. My children’s giggles never fail to make me smile! when my boys (3 & 5) play for hours and hours and hours in the sandbox…I remember those days as a child. They were the best. My grandson. He brings so much joy to our family. My 2 year old. She makes me laugh all the time. My 4 year old daughter ALWAYS makes me smile! Love her! Cute animals playing around make me smile. Perhaps it’s how a dog or cat can be carefree about everything else in the world and shower you with affection no matter how sad you feel or whatever else ails you. I always smile when I see my 2 year old and 4 year old daughters dancing to their Strawberry Shortcake dvds. The sound of my kids laughing like crazy! Laughing/Giggling babies! It always makes me smile! Things that make me smile. My 6 yr old when he has a day with less seizures. My 3 yr old when he gives hugs and kisses (all day long). Sent an e-smile to Chicago, Il/Indiana 🙂 And the thing that makes me smile is my son’s laugh and infectious smile! And he is always saying “We need to work together and listen to each other” He is only four so I love his wisdom! My 5 year old is ALWAYS humming! He has been doing this for several years and it never fails to make me smile – even when I am having a hard day – it is pure joy to hear his little humming tunes! My daughters can always put a smile on my face! When I come home from work and my daughter comes running for me saying ma-ma. Or when my son comes up to me for no reason and gives me a kiss! Watching my kids dance! Thanks for the chance to win! I sent an eSmile to San Diego. The sound of my little boy’s laughter can always put a smile on my face. Watching my girls engaged in pretend play…they are so creative! my kids….especially when their getting along! It always makes me smile to see the childlike faith of my girls. Sometimes they teach me so much about genuine faith. I sent an eSmile to Atlanta. Clicking the “print” button and having it work the first time 🙂 I’ve been really lucky with out home printer, happens to be an hp, but I still find myself really really happy every time! My little girl, who is 18 months, always makes me smile. She is complete joy. My girls’ smiling or being kind to each other. Dancing with my 6 and 9 year old boys to my favorite 80s songs always makes me smile because it’s comical and fun! I sent an eSmile to Orange County. My son is 3 yrs old and my daughter is 8 months old and starting to really show her personality. I love to hear them laughing together. It’s adorable!